The brain works in odd ways. Feeling overwhelmed with the cross country move, I let myself scribble all he scattered thoughts. Middle of the night, sleepless, brain won’t quit. 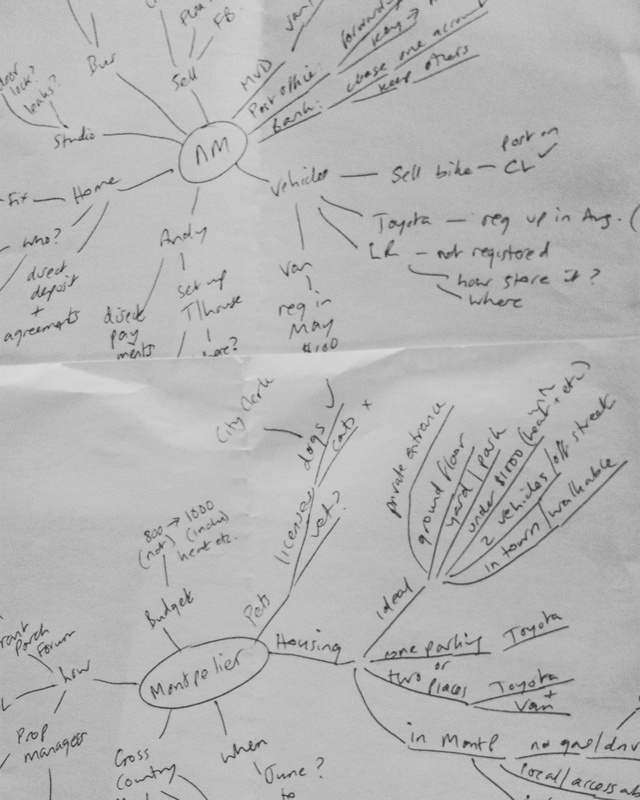 Mind-mapping is a skill my mum and Aunty Viv taught me when I was in highschool. Years later, I still use it. That’s all. Thankful for Mum and Viv. Miss you both.